What I like most of this crazy life is the adventure of it. Is there an adventure that does not impart your soul or initiates a soul searching game that leads to discoveries that you were not expecting to find and unveil? You bet! Adventure and “soul searching” (sounds a bit intimidating and frightening) or more like recommitment to yourself, your goals and values go hand in hand. It is different for different people. The extent of this connection cannot be measured by some worldwide established standards. But it is always rewarding to learn what you are capable of and maybe even open some hidden doors of your heart. 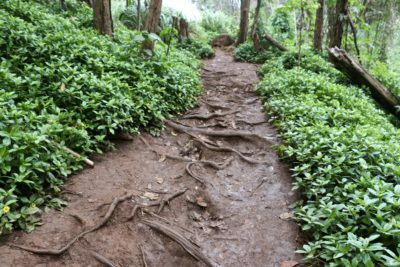 My “soul searching” aka recommitment adventure started as a solo hike down a muddy trail to one of the hidden beaches of Kauai, Hawaii. 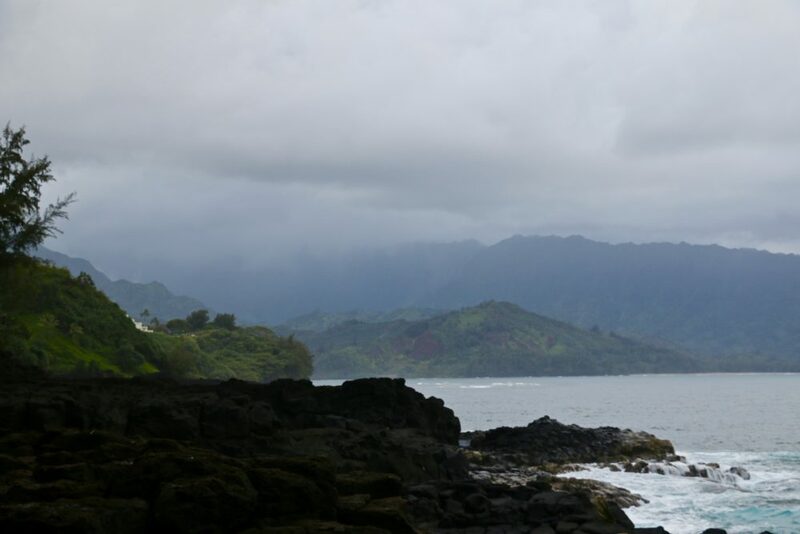 Located in the picturesque Princeville, on the north shore of the island, the infamous Queen’s Bath does not resemble a typical sandy beach with lush tropical greenery in the background. 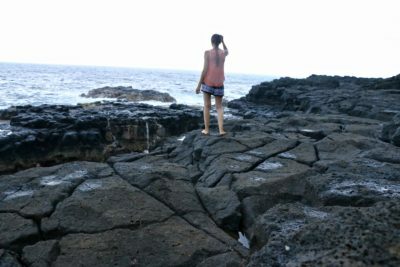 Formed primary of large black lava rocks, this rocky promontory is known as one of the least safe places on the island. The impressive lave shelf towering 10 to 15ft above sea level might though create an illusionary sense of security. However, this safety vanishes at once in the face of deadly surf with smashing 4ft and above waves that sweep over the rocks and pull unfortunate vacationers into the waters. 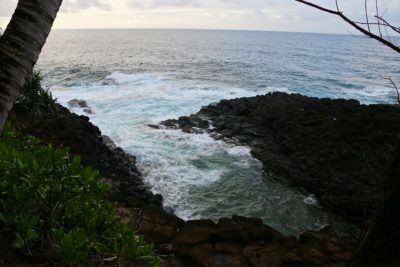 Unable to get out of the ocean, people have drowned after being swept off the rocks. Although the biggest surfs usually happen in winter, from October through May, the unpredictable high waves can arrive in any season and at any time of the day. 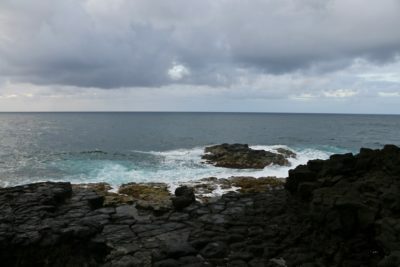 It is not recommended and often highly discouraged to visit the Queen’s Bath without checking the surf report beforehand. And in any case, it is definitely advised to stay away from the edge. 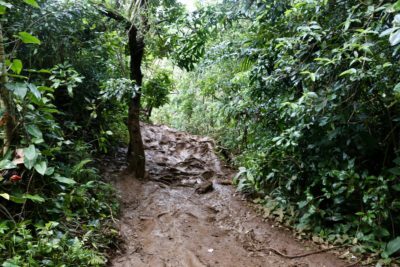 But why then so many people close their ears and eyes to the warning signs and precautionary measures and hit a steep, slippery trail curling down to the north shore of Kauai? The answer to this question is hidden in the waters of a natural tide pool called Queen’s Bath. 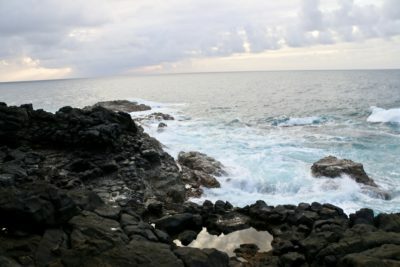 Separated from the ocean by the lava rocks, the magnificent, unique pool received its name after the mother of Prince Albert who, reportedly, used it once as a bathing place. Years passed by, many royals have been born and deceived from the time when Princess Louise of Saxe Gotha Altenburg bathed here, but the Queen’s Bath, an immortal witness of the island’s history and its natural beauty, still allures all kind of adventures, ocean whisperers and nature lovers. 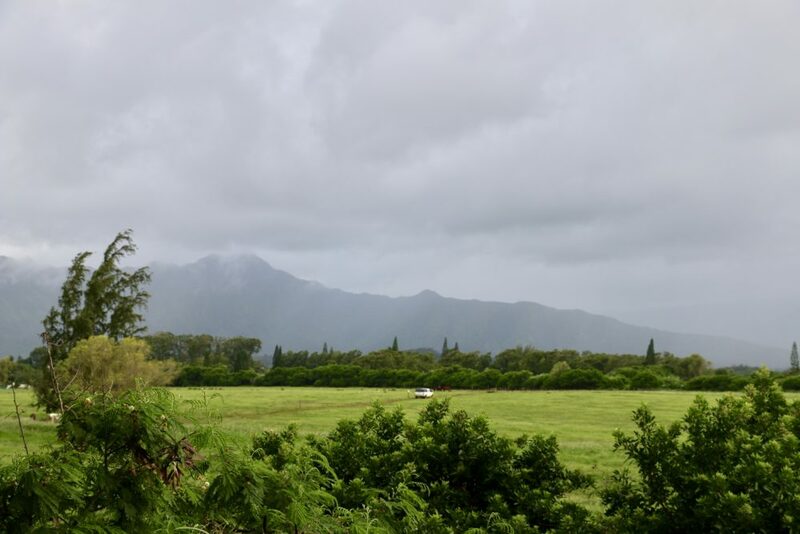 My husband, baby and I had been driving for a little bit over an hour in an attempt to find Secret (Kauapea) Beach. 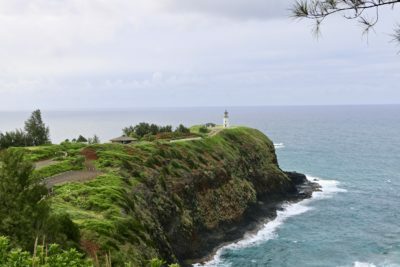 It was late afternoon, almost evening when we finally reached a narrow, somewhat hidden road on the left hand side of entrance to Kilauea Lighthouse, which, we wrongly assumed, would have led us to the beach. Screen on my iPhone showed 4:03 p.m. And alas, the road was closed, and so was the entrance gate to the lighthouse. 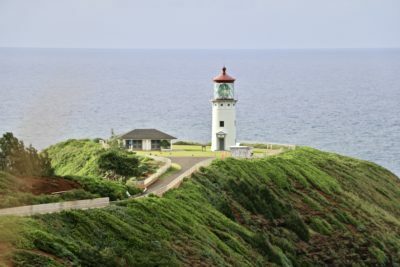 Exchanging some smiles and a few cheering words with a small group of other unlucky travelers, we spent some time admiring mesmerizing coast line with stunning lighthouse on the cliff facing the ocean before heading out to the nearest, according to poor Internet connection of our phone devices, attraction point on the north shore. A mere 15 minutes-drive back with one short stop to soak up gorgeous scenery and giving break to our baby from his fettering car seat that had come together with the rented car, and we, precisely following sparsely located road signs, knew that we were on the right track way before the GPS loudly pronounced “Your destination is on your left”. Another street sign with a warning message proclaiming that beyond that point people themselves were responsible for their own safety directed to an unpretentious trail hidden between large trees to the left of residential area. It took us a quick glance to realize there was no way to carry the baby down the slippery, steep path. 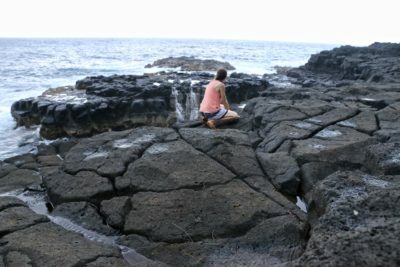 Despite his enormous curiosity and desire to see more of the shore, my husband volunteered to stay on the “safe ground” and take care of our munchkin while letting me hit the trail and explore the Queen’s Bath on my own. Starting as smudged stairs, the path very soon turned into a narrow, steep and extremely slippery trail that would have been more appropriate for sledding (never mind the absence of the snow) if not for massive tree roots sticking out all over the trail. “The roots are your friends. Hold onto them.” Without comprehending at first what a slender woman whose hands and feet up to her knees were covered in red mud meant, I took her advice seriously. And within a minute, still having a sign of her slowly climbing up and now and then grasping those helpful roots to prevent herself from falling down, I followed her lead and holding onto the tree roots moved forward in the opposite direction. I do not need to tell you how, all of a sudden, easier the hike became and how if not more confident then definitely more secure I felt about it! As I processed farther into the jungle, I met a few other adventurers, mostly hiking in small groups of 3 to 6 people. After a cheerful “Hi”, my acquaintances by chance quickly shared their tips how to conquer the trail. The most observing of them extended their help beyond the encouraging words and useful advices and offered a helpful hand when I happened to be stuck between two roots: released the one behind me and was still not close enough to grasp the next one. Those who despite their best effort fell in the muddy puddles of the path, were joking about their bad luck and making everybody who could hear them laugh out loud. I laughed, too, but at the same time was holding faster and faster onto those trees. The possibility of walking around covered with dirt from head to toes did not seem appealing to me. 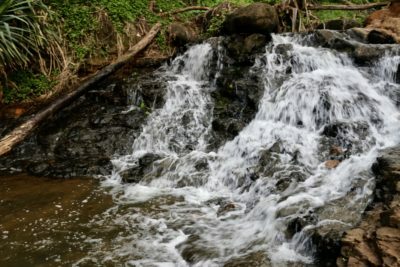 Halfway through my mini Hawaiian journey, I spotted first out of two “Queen’s Bath Waterfalls”. The tumbling from 15-30ft height water found its ultimate haven in a small, tranquil pool. Dense vegetation consisting of the tall tree, huge bushes and some occasional trunks of fallen and weathered trees hid the upper waterfall from any outsiders not willing to get down the muddy path to uncover the nature’s unique treasures. 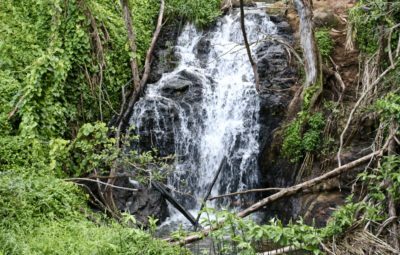 Raw and unspoiled, charming in its own unprecedented beauty, the waterfall was a perfect spot to rest and regain strength before resuming the hike. 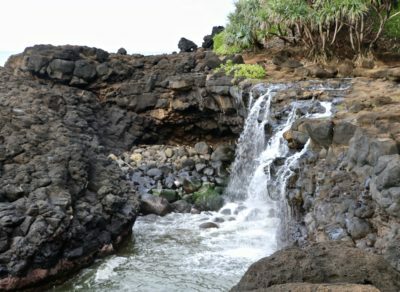 Approximately 7 minutes later, the second (lower) waterfall that looked more like a stream and was opened to the surf and wind blowing from the ocean plunged into a churning inlet surrounded by the cooled volcanic rocks. Up to this point, I loved everything about my journey including the red mud comfortably positioning itself on my hands and feet (Not on my face. I had to pat myself on the back for making it through the jungle without falling down, even though a few times I was very close to it.) I felt like my burning desire and thirst for Amazonian adventure (yes, the Amazon rainforest has been calling my name for a long time) finally came true. I loved the feeling of freedom and strange liberation that were tightly embracing me with every step I made. This island adventure was real! I would have probably jump with exuberance if not for the fear of falling down and sliding my way through the dense forest to the ocean. Once again I reminded myself why I love the nature so much. And how could you not love it? All these colors, sounds, smells… Even with the most advanced tools and technology, we, the humans, are still unable to replicate, less replace them. Slowly moving ahead and admiring my gorgeous surroundings, I made a decision, sort of commitment, if I may say so, to get outside more often, to explore more, to see and learn a lot, to smile and laugh freely for a reason and even without reason, to express gratitude and live in a peaceful state of mind every single day. It felt like this tiny path was a huge adventure in disguise that I had neither planned not asked for. It was more than enough! Even if there was nothing else on the other end of the hiking trail, I would have done it anyway. But there was much more. 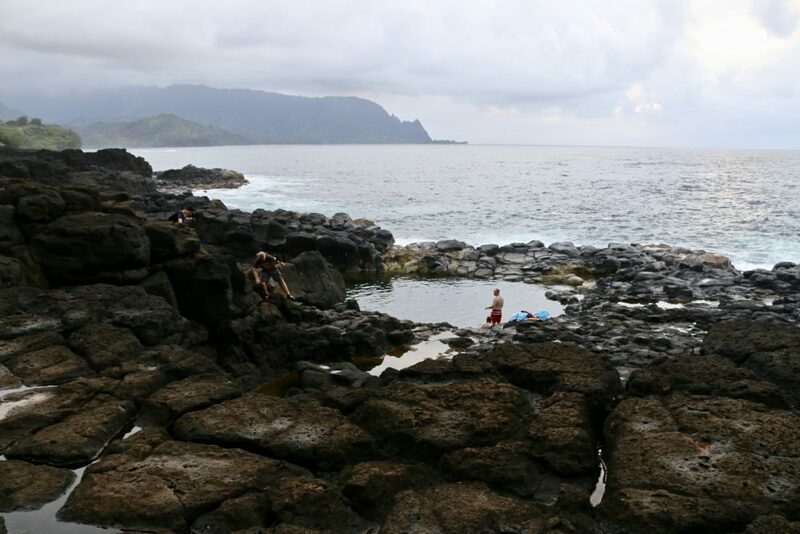 The infamous Queen’s Bath continued patiently beckoned me. Open to the wind and big North Pacific surf, the “lava beach” amazed with its uniqueness and roughness. This is definitely not a place to lie on a beach towel while the sun gently envelops you in a bronze color. 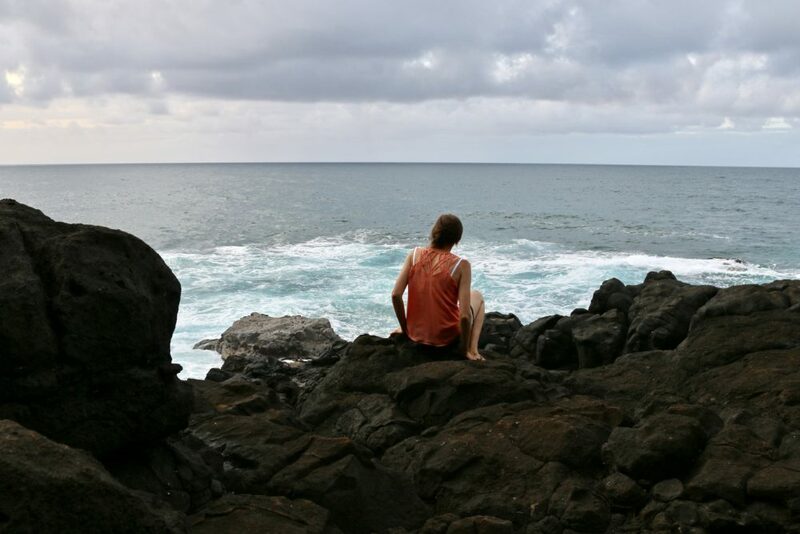 This is a place for an adventure, hiking and sometimes swimming (when the big surf is not expected and you can dive into the churning waters of the secluded inlets scattered on the shore). Approaching the famous tide pool after admiring it from the rocks right above it, I found myself unceasingly gazing at the massive mountains towering over the ocean in the far. In the dimming light of the evening they appeared less green and dustier with their peaks already hidden in foggy clouds. I could not ask for a better place to end the day! I have to pause here and go back to the time when I just reached the shore. Excited and exuberated, I unwillingly glanced at my hands and feet. They did not show any sign of a white skin: completely dirty, covered with the sticky red mud – the evidence of an intense walk to the beach. Now apart from the muddy trail, I encounter an additional “slippery” issue. My open toes, open heels shoes were absolutely inappropriate for such walks. Sliding in them back and forth did what was only predictable in this situation. My long serving sandals could not cope with such vigorous movements and tore apart at the front. 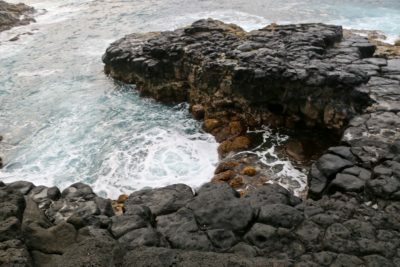 Not willing to carry them to the tide pool, I left the shoes on the far side of the promontory, right where the forest separated itself from the black lava with a thin strip of yellow sand. No, I was not planning to throw the shoes and happy and merry go where I wanted. My sincere intention was to pick them up on the way back. There is enough litter on the earth and I was not going to contribute more to it. That was the plan. About half hour later, after saying my “Goodbye” to the Queen’s Bath and heading back to the narrow trail in the forest, I spotted used feminine product laying in the open area for everybody to see. Gross! Ladies have some manners! Sick to my stomach, I continued walking back slowly increasing the speed as the darkness was descending pretty fast. But I had one more stop to make. I had to find my shoes. Walking very funny as I could feel every edge, every uneven part of the huge black rocks with my bare feet, I stepped off the lava and headed in the direction where I presumably had my sandals waiting for me. But I could not find them… I went back to the rocks, returned to the side of the beach to find nothing again. Repeatedly, I was going back and forth, up and down. No shoes… And here I was… A person who, by all costs, was avoiding littering, and still managed to make the earth a bit dirtier. Shame on me! Regardless of how many attempts I made to find those old sandals of mine, I could not stay any longer at the promontory. 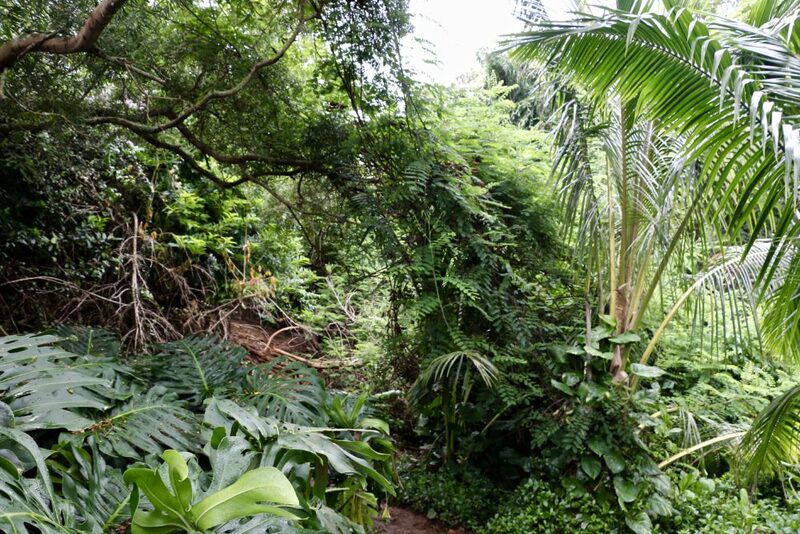 I had to hit the road once again and make my way up through the dark Hawaiian jungle. Absurd fears started bombarding my mind. “This is the time when dark-loving tropical creatures, hungry after their daytime sleep, wander in the woods in search for food…” “What if instead of the root I would grasp a snake disguised as a lower branch of the tree?” Like igniting a new fire by pouring oil into it, these thoughts forged me ahead with the maximum speed that was possible in such conditions. 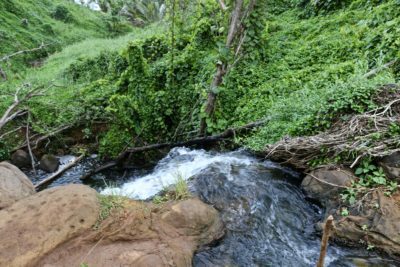 Whether out of the fear of the jungle inhabitants or thanks to the fact that I already was acquainted with the trail, it took less than 10 minutes to get back to the residential area of Princeville. The path seemed not only easier but somehow even flatter this time. But I might have been very biased here – the direct indication how much I loved this spontaneous mini adventure. What had started as a mere walk down the beach, brought out so many emotions and promises (one of them for sure was to never ever litter again, even by accident). And I was certainly committed to adhere to them and use them as guidance for my future adventures. 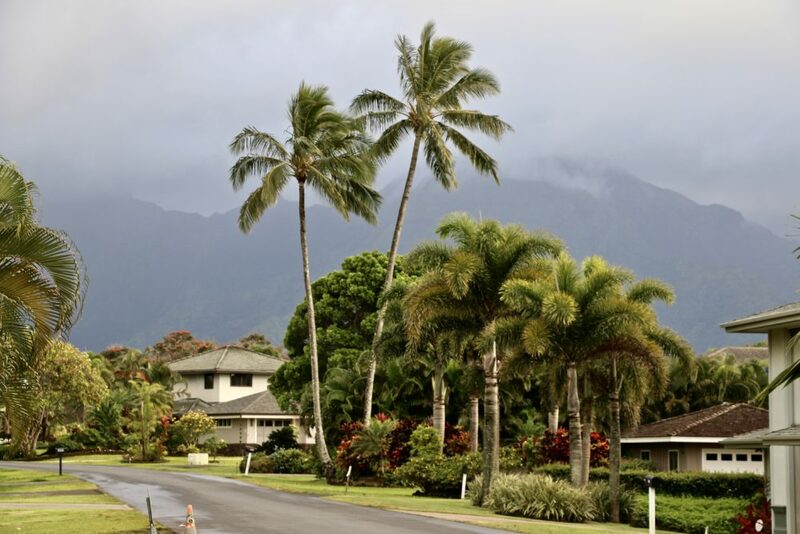 One hour drive back to our hotel followed by hearty Indian takeout, and three of us were ready to go to sleep with thrilling anticipation of the new day and new Hawaiian adventures.